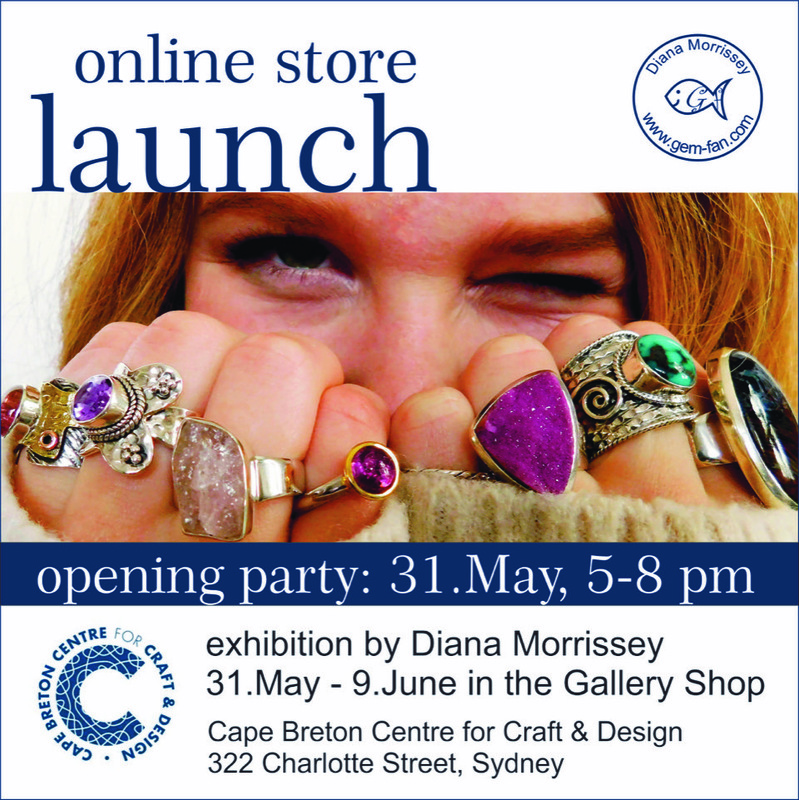 Join us on Thursday, May 31 from 5:00 – 8:00 pm for Diana Morrissey’s new product launch and opening party in the Centre’s Gallery Shop! 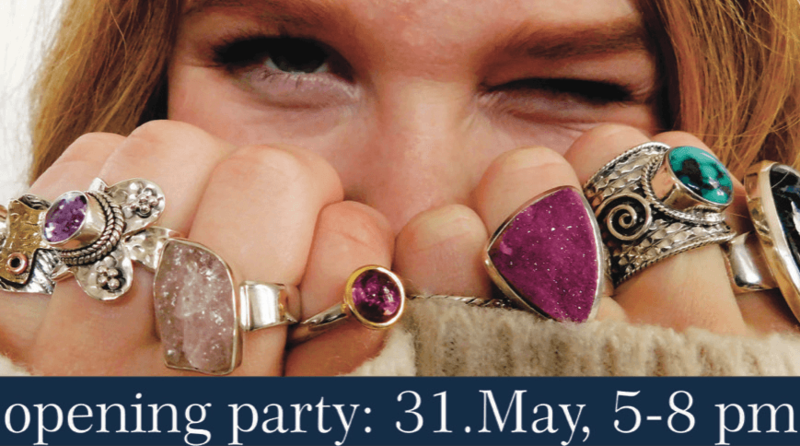 Gems Rock Part 2 – this jewellery collection is inspired by and created around cut and polished rocks. I collected the gemstones during my travels around the world, and each one is unique with its own interesting story. Please enjoy my world – metal art and gems! Fantastic Ammolite – this collection features pieces I created from the most famous Canadian gemstone. The incredible colour play of Ammolite inspired me to create a unique collection. During the past two months I purchased around 60 gems and plan to blow people’s minds. Adjustable Rings – during my recent trip to the New York Now Show and the time selling at the cruise ships I realized that my adjustable rings are a hit. In this show, I would like to present the open concept rings with a funky twist. The opening is on the top and part of the design. Of course, I plan to fuse, texture, hammer and fold my creations. Wild Child Collection – this collection features my gemstones from all over the world. I use gold and silver to create an eclectic and unique collection. Inspiration is my sense of freedom and creativity. I channel my own inner wild child when creating these bodacious, bold pieces.